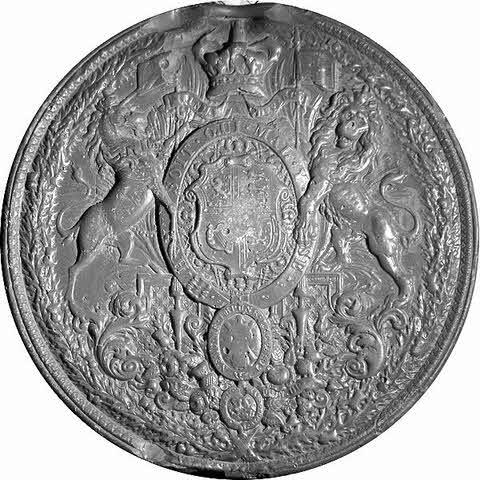 I reproduce here the Wikipedia (free internet encyclopaedia) text concerning the Great Seal of Scotland. See below for the Wikipedia text and a link to the original item. 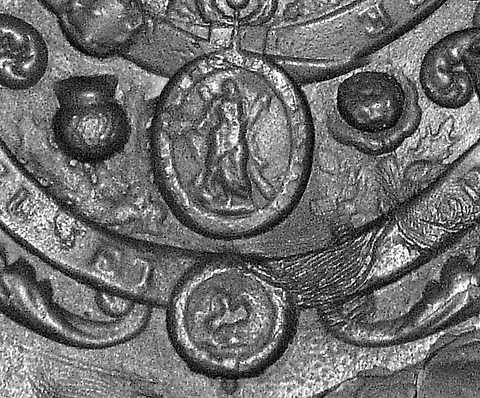 View the section further down the page for available images of The Great Seal of Scotland after the Union of the Crowns in 1707. 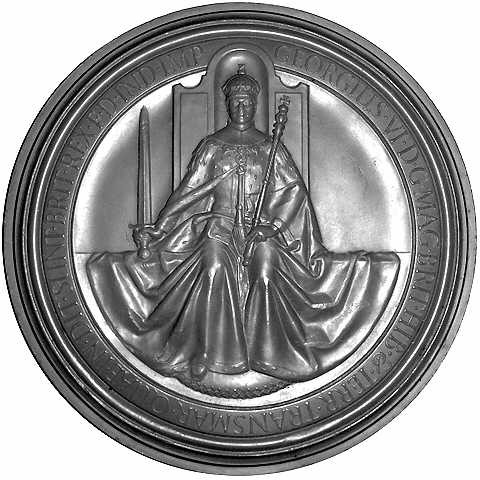 The Great Seal of Scotland (An Seala Mòr na h-Alba in Gaelic) allows the monarch to authorise official documents without having to sign each document individually. Wax is melted in a metal mould or matrix and impressed into a wax figure that is attached by cord or ribbon to documents that the monarch wishes to make official. 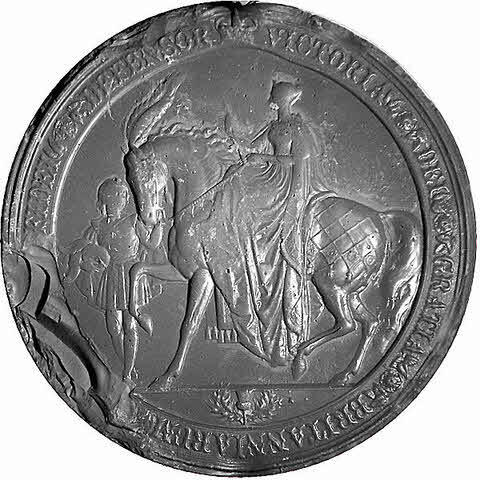 The earliest seal impression, in the Treasury of Durham Cathedral, is believed to be the Great Seal of Duncan II and dates to 1094. 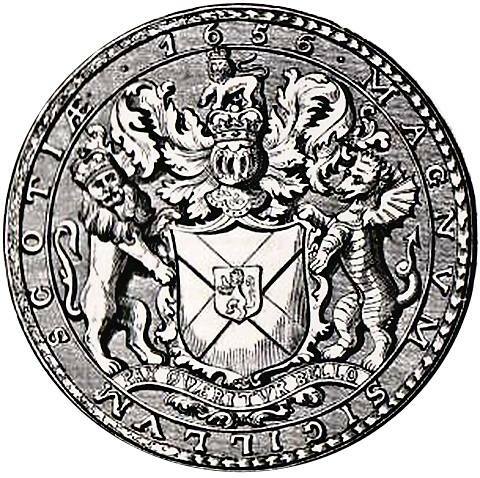 Strictly, the Great Seal of Scotland was abolished by the Act of Union 1707 which provided that "a Seal in Scotland after the Union be alwayes kept and made use of in all things relating to private Rights or Grants, which have usually passed the Great Seal of Scotland, and which only concern Offices, Grants, Commissions, and private Rights within that Kingdom". 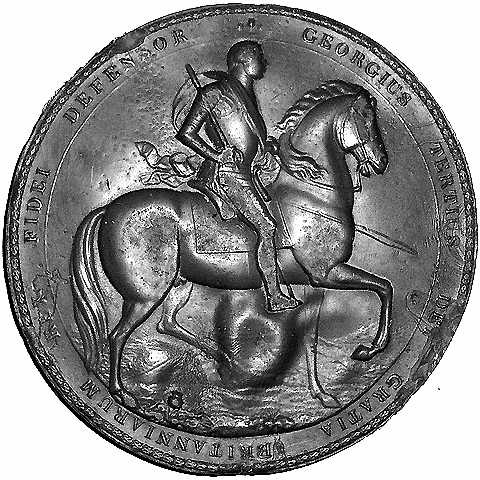 Although referred to in the Scotland Act 1998 as "the seal appointed by the Treaty of Union to be kept and made use of in place of the Great Seal of Scotland", the seal is still commonly referred to as the Great Seal of Scotland. The Design of the Great Seal is a responsibility of the Lord Lyon King of Arms. 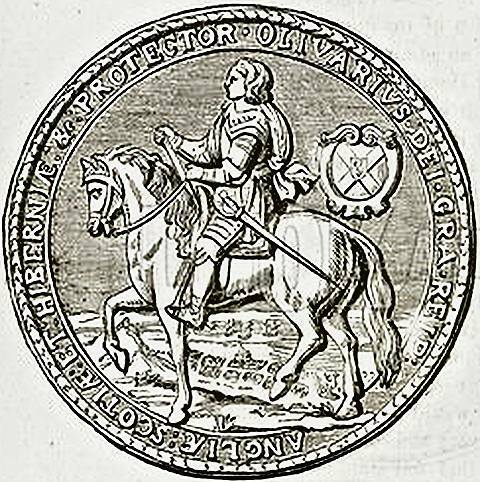 The reverse of the seal shows the monarch on horseback. 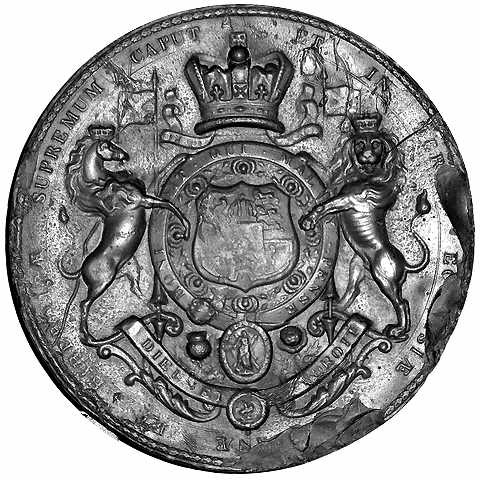 The current obverse is inscribed "ELIZABETH II D G BRITT REGNORVMQVE SVORVM CETER REGINA CONSORTIONIS POPULORUM PRINCEPS F D" and the figure on it is the same as on the Great Seal of the United Kingdom. The Great Seal is administered by the Keeper of the Great Seal. From 1885 this office was held by the Secretary of State for Scotland. It transferred in 1999 to the First Minister of Scotland, whose place in the order of precedence in Scotland is determined by his office as Keeper of the Great Seal. In practice the Seal is in the custody of the Keeper of the Registers of Scotland, who has been appointed as Deputy Keeper. 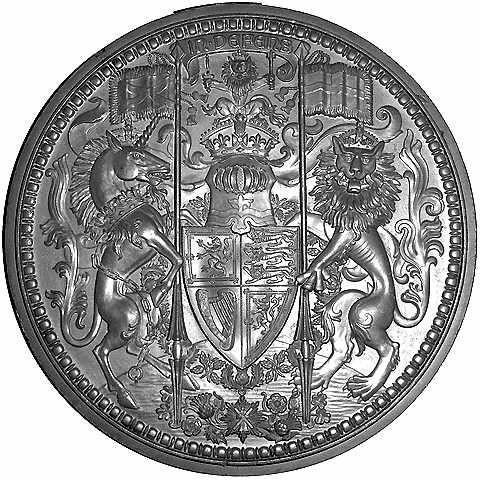 The Great Seal of Scotland is the same size as the English seal; has a similar obverse/seal with Scottish modifications, and an armorial reverse/counterseal. The arms look similar to the English arms, but have the Scottish Lion in the first quarter, instead of the three English 'Leopards'. with St. Andrew above a small St. George. Also more thistles. for the thistle in the exergue.